Mrs Andersen has been promised that even though the hotel is being bought by someone else, she can keep running the hotel and that the girls will stay on to help her. However, it turns out that the new buyers are not as sincere as they appear to be. 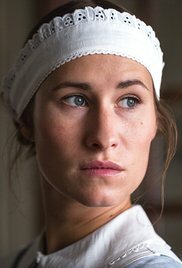 Mrs FjeldsÃ¸ receives a letter from her son and enters a state of shock, which has her sister resorting to unconventional means to figure out what has happened. Merchant Madsen has been very successful on the American stock market and is now very much caught up in stock speculation. In the kitchen things are happening as well, as Edith gets an idea of how she and the girls can prevent Mrs Andersen from signing the sales agreement.